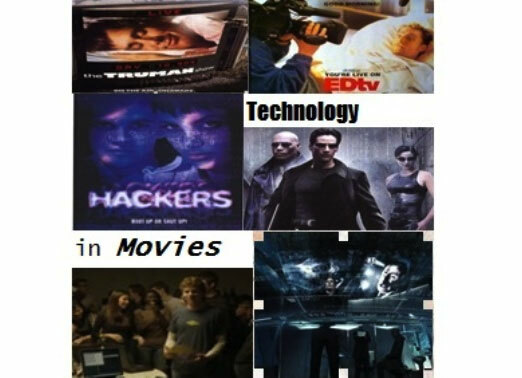 From computer video games to war games, dystopian societies to social networking, throughout the years movies have been a showcase of current and yet to be seen technologies. 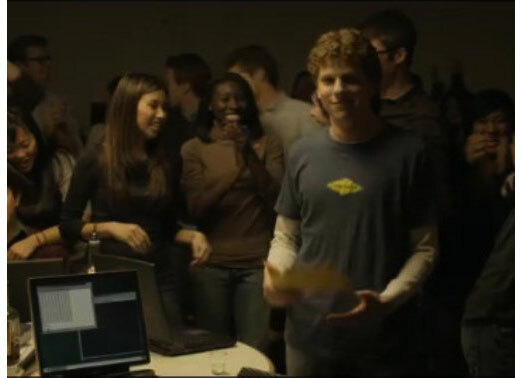 In some instances; movies reflect our present relationship with technology such as the chronicle of Facebook’s success in The Social Network. Sometimes, they presage emerging trends such as the rise of reality TV as seen in The Truman Show, Edtv and the documentary We Live in Public. 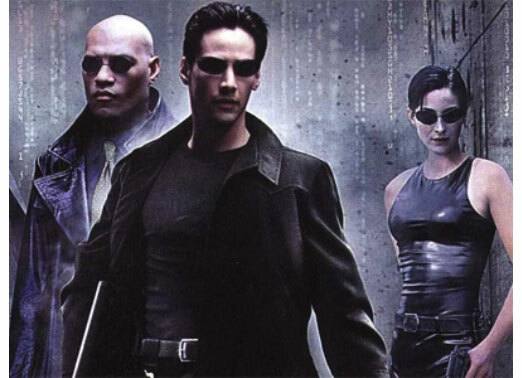 Take a stroll down memory lane with these 10 flicks that feature and sometimes star technology. A pre-Brad Pitt Angelina Jolie stars with one of her real life ex-husbands in a fable about teen hackers who stumble upon a computer virus that could spark a global environmental disaster by capsizing an oil tanker fleet. Filmgoers didn’t buy Jolie as a teen in this movie or its flimsy plot. Least believable scene today: the teen protagonist’s parents somehow successfully ban him from using computers or touchtone phones (remember those?) from the time he’s 11 until he’s 18. Today’s kids would laugh sarcastically in the face of an attempted seven-year ban on computers and smartphones. Matthew Broderick used his perpetual baby face to make a great living during the 1980s playing teen roles even into his twenties and what’s cuter than a baby faced kid hacking into the U.S. nuclear weapons system? His character finds a back door into the system that could start World War III when he confuses the real deal with a war-themed video game. The scariest thing these days is that security experts say real life cyber warfare is inevitable and will be waged intentionally by nations, not mistakenly by kids who look like Ferris Bueller. A slimmer Jeff Bridges (one that can fit into a spandex suit) plays a software engineer and avid gamer who, in the process of investigating a case of video game plagiarism, finds himself trapped inside a video game. Transformed into a computer program, he has to engage in martial battles and races in order to get back to the real world. 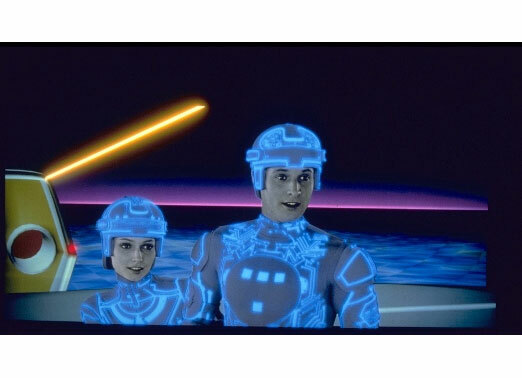 Tron is one of the early movies inspired by the then emerging video game industry. It also taught us to respect our hardworking software. This film was nominated for mucho Oscar hardware including best picture but walked away with only minor wins like best screenplay. This movie is more about the business of startups than the actual technology of social media. The lesson here: the only thing scarier than launching a failed startup is two brothers claiming your successful startup was all their idea. The Winklevoss twins, armed with their trust fund war chest and entitled attitude, come off scarier than those spooky little twin girls in The Shining. We had to reserve one nod to biotech and this one’s a doozy. Harrison Ford, in his prime here, has to track down four replicants who have returned to earth from outer space to seek revenge on the mad scientists who created them. If we needed a warning about the dangers of messing around too much with DNA-based technologies, Sean Young and Rutger Hauer are it. Also notable for its incredible visual effects that helped us imagine how crowded with images and video the world would eventually become. A war-against-the-machines movie with references to cyberpunk, hacker subculture, Japanese anime, dystopian society, spaghetti westerns, philosophy and religion to name a few. Keanu Reeves of course stands out as the hunk of beef in this stew. He is Thomas A. Anderson, an average computer programmer by day and hacker by night named Neo. 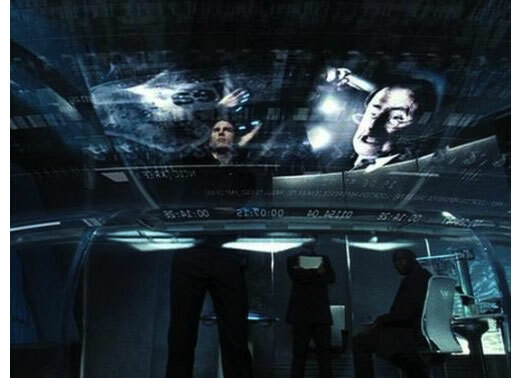 Neo and his crew break into a massive computer simulated world by connecting cables to the base of their necks to create virtual alter-egos of themselves. The same technology allows them to download skills such as small arms expertise, mixed martial arts, helicopter flying, the ability to dodge bullets and change the laws of physics in the virtual world. What if you can predict a crime before it happens? Tom Cruise stars as the hot-shot chief of the Washington D.C. PreCrime police force in the year 2054. The force relies on precogs, mutated humans with precognition, to predict murders. All seems well until the system is rigged to frame Cruise. The film also shows us the horrors of targeted location-based advertising. The other stars in the movie were augmented reality technology and a wall-sized virtual touchscreen that Cruise manipulates by dragging, dropping and swooshing images across. Of course we all know that device was pre-dated by Apple’s iPad by about 44 years. Big Brother, Thought Police, Double Think, Newspeak. Each time we mention these ideas today we pay homage to British writer George Orwell who warned in his novel Nineteen Eighty-Four (published 1949) about the ills of a totalitarian state. 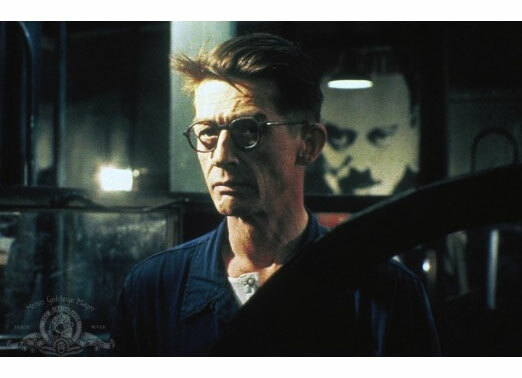 This 1984 film version of the novel also features the diabolical potentials of videoconferencing as the image Big Brother constantly watches over the citizens of Oceana from TV screens posted all over the place. 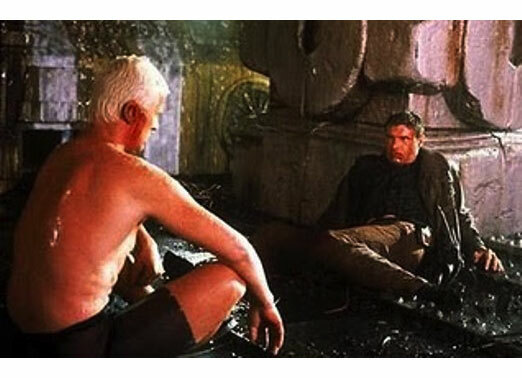 The movie also spawned that now famous 1984 Apple Super Bowl commercial directed by Ridley Scott. 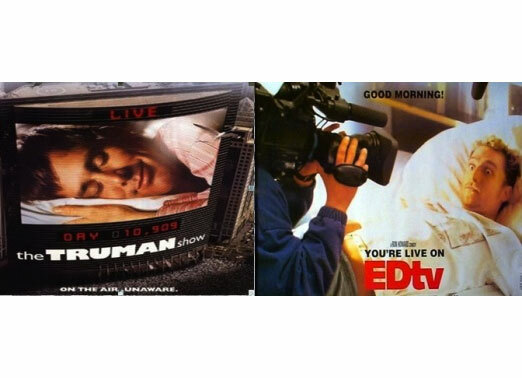 Before there was Twitter these two movies illustrated the public’s appetite for a constant flow of real time information, in this case in the form of around the clock reality TV simulcasts of the lives of two regular guys, one unwittingly (Truman) and the other willingly (Ed). The way product placement is used to monetize the fictional shows could be torn from today’s marketing playbook, as is the drive by the fake network execs to keep upping the ante of contrived drama on their shows to keep the audience from getting bored and tuning out. 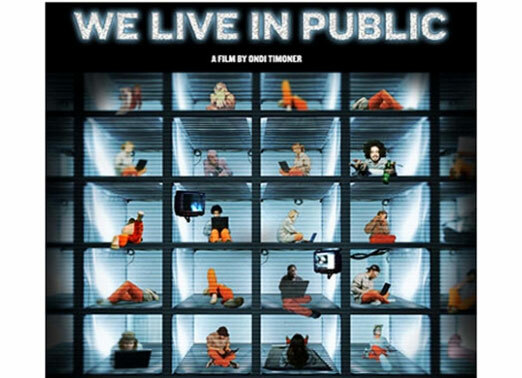 This documentary captures the rise and fall of Josh Harris, a twenty-something visionary who founded the first Internet TV network back in 1993 and built a social experiment streaming live 24/7 Webcam footage of 100 random people living in a New York underground grotto. Violence, filth and anarchy ensued. The NYPD showed up. Investors got scared. Harris blew through millions in VC cash and went broke. A cautionary tale on the dangers of being way ahead of your time and thinking waaaaay too far outside the box.